The jet bridge failure at BWI Airport is "under investigation", according to another tweet from the airport. 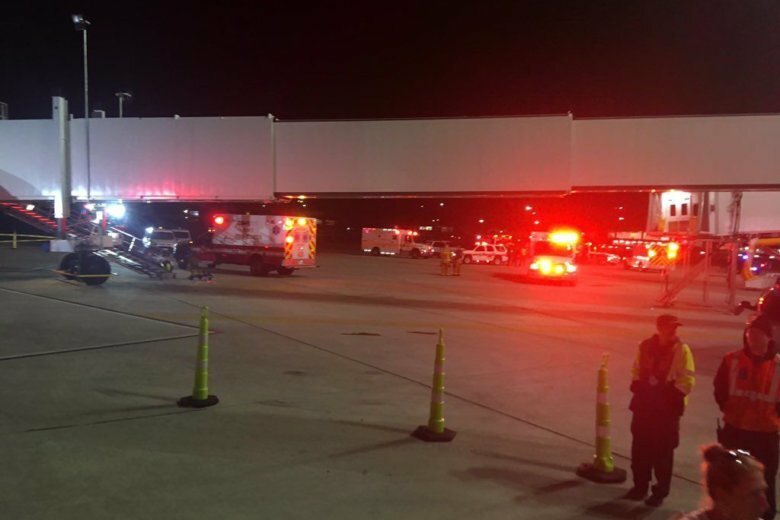 A jetway collapsed at Baltimore-Washington International Airport Saturday night, sending passengers hurtling to the ground and injuring six. They say six people were taken to local hospitals with non-life-threatening injuries. Southwest Airlines said the flight arrived at BWI from Punta Cana, Dominican Republic, with a request for paramedics to meet it to check out a passenger's "onboard medical situation". "And then the thing crashed and it hit down", William Yerman, a passenger on the plane at the time, told WJZ-TV. Treated were four medics, two Southwest Airlines employees and the sick passenger, FAA said in an email to WTOP. A jet bridge is the enclosed ramp that funnels passengers from the terminal to the aircraft. "No further impact to operations", the airport added. Several people were injured Saturday when a "partial equipment failure" that involved a "jet bridge" occurred at an airport in Maryland, the airport confirmed. This website is not intended for users located within the European Economic Area.